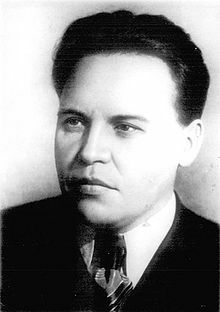 On this date in 1942, Klava Nazarova and five other Soviet partisans were hanged by the Wehrmacht in and around Ostrov. Image from a fantastic collection of illustrations of Soviet female heroes at this Dutch-language forum thread. Nazarova was a 21-year-old Komsomol member in the town of Ostrov when Nazi Germany invaded the Soviet Union in 1941. The Germans overran Ostrov’s Pskov oblast en route to Leningrad for that city’s legendary siege, leaving Nazarova to apply her leadership talents to the finer points of partisan warfare. 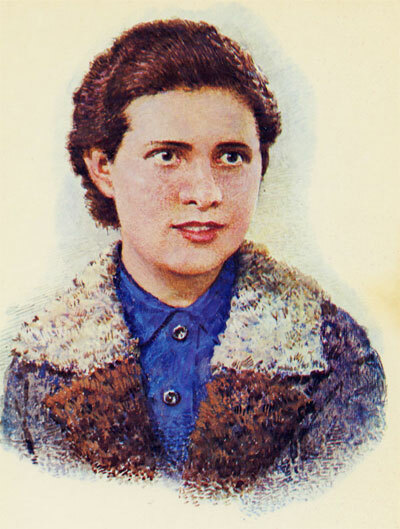 She was captured with five other resistance members in November 1942, and the six executed in a traveling spectacle of the macabre this date: Nazarova and another young woman, Nura Ivanova, were hanged together in the main square of Ostrov; then, the party rolled out to the neighboring village of Nogino for the hanging of a middle-aged husband-and-wife couple; last, Nikolai Mikhailov and Konstantin Dmitriev got that treatment in yet another nearby village, Ryadobzha. Klava Nazarova is one of three women from the Great Patriotic War designated as Heroes of the Soviet Union. (The others are Maria Kislyak and Zoya Kosmodemyanskaya.) We think it meet to mark her martyrdom to the strains of the great Soviet war anthem “Svyaschennaya Voyna” (“Holy War”). Rise up for a fight to the death!